NOVEMBER Is World Diabetes Month – 14 Nov is Diabetes Day! The total number of people with diabetes in Africa is expected to increase by 20 million in 2040 – bringing the total to 34.2 million diabetic patients on the continent. A disease that is associated with significant comorbidities that contribute to an increased risk of costly hospitalisations, the logical response is to radically change the approach to the prevention, diagnosis and treatment of this disease. Those are the horrific stats associated with diabetes. Something has to be done to reverse this trend because although existing medicines have been of great benefit in the management of diabetes, treatment goals still remain suboptimal and there’s a need for newer treatment options to manage this progressive disease. The time for new approaches to the management of the disease is now! This World Diabetes Day – Tues 14 Nov – there’s a strong case to be made for education and advocacy in the treatment of diabetes. Science cannot be seen in isolation and with current research showing the impact of stress, strain, sleep and food security on increased risk of diabetes – there’s now an even stronger need for education to better manage the pandemic. 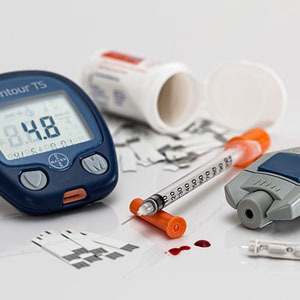 Diabetes targets set by the United Nations and the World Health Organisation (WHO) include a global reduction in premature mortality from diabetes of one third by 2030 and a 25% reduction in the frequency of diabetes-related complications detected at diagnosis. Excellent work has been started to raise awareness levels of the diabetes challenge but clearly we have a long way to go if we are to reach these WHO targets.